No need to spend time with multiple products. 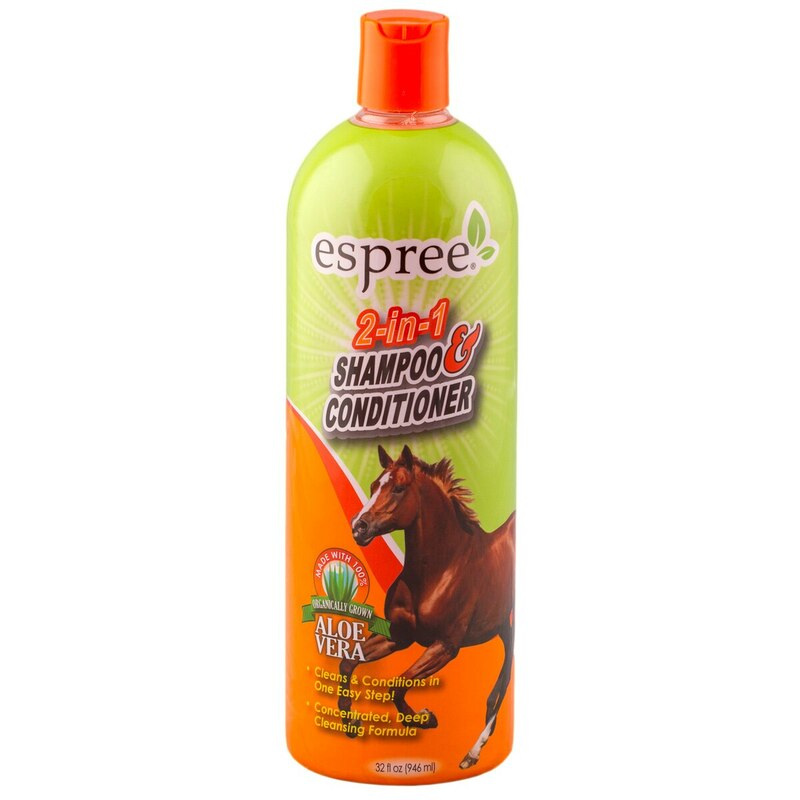 Espree® 2-in-1 Shampoo & Conditioner is one bottle that does it all! Premium natural ingredients cleans, condition and shine in one easy step! This product contains organically grown Aloe Vera from the inner filet of the Aloe plant in place of water. Aloe Vera's beneficial nutrients act as a powerful skin hydrator since Aloe's absorbed into the skin 4 times faster than water. Aloe Vera is also known to heal allergic rashes, sunburn, insect bites, and minor abraisons all while alleviating swelling and boosting immune response. Cleans & Conditions in One Easy Step! Use full strength or dilute up to 10 parts warm water to 1 part shampoo. Massage into coat and rinse thoroughly.